Detailed coordination and logistical efforts for the tight site allowed the high-rise residential building to proceed without disrupting the surrounding businesses, residents and visitors in the busy Financial District neighborhood. 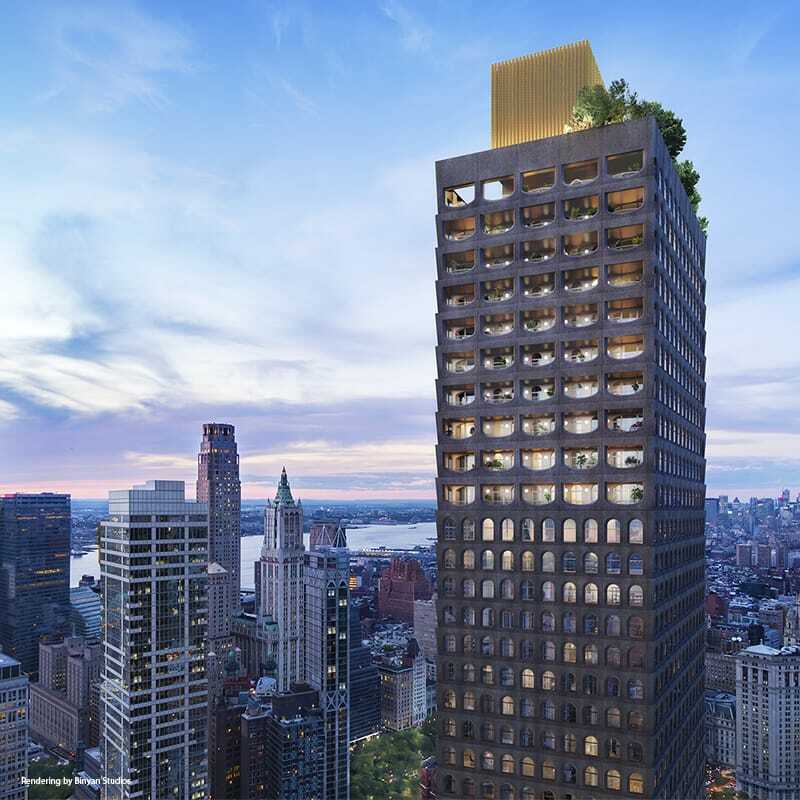 Gilbane is providing construction management at-risk services for a 66-story, 450,000 square foot luxury condominium building located in lower Manhattan. This 800-foot tower will consist of 242 units with three levels of retail and three levels of amenities. 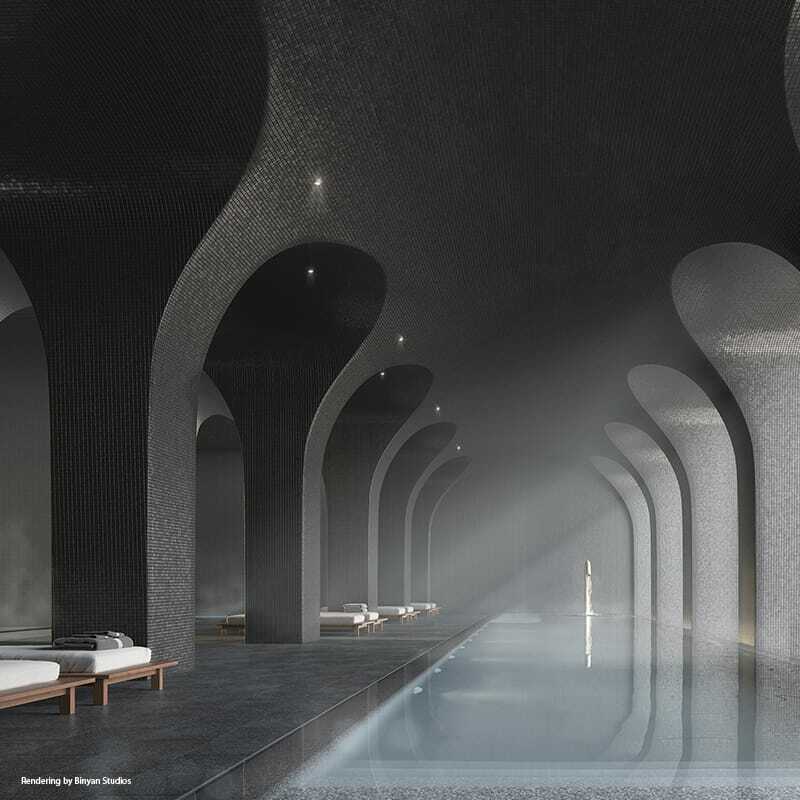 The extensive list of resident amenities includes a spa with an infinity-edge pool and fitness center, yoga studio, basketball court, golf simulator, an IMAX Private Theatre, resident lounge, pet spa and a roof-top observation terrace. 130 William includes a mix of residence types, from studios to four bedrooms, and each residence incorporates luxurious interior finishes made of materials sourced from around the world. 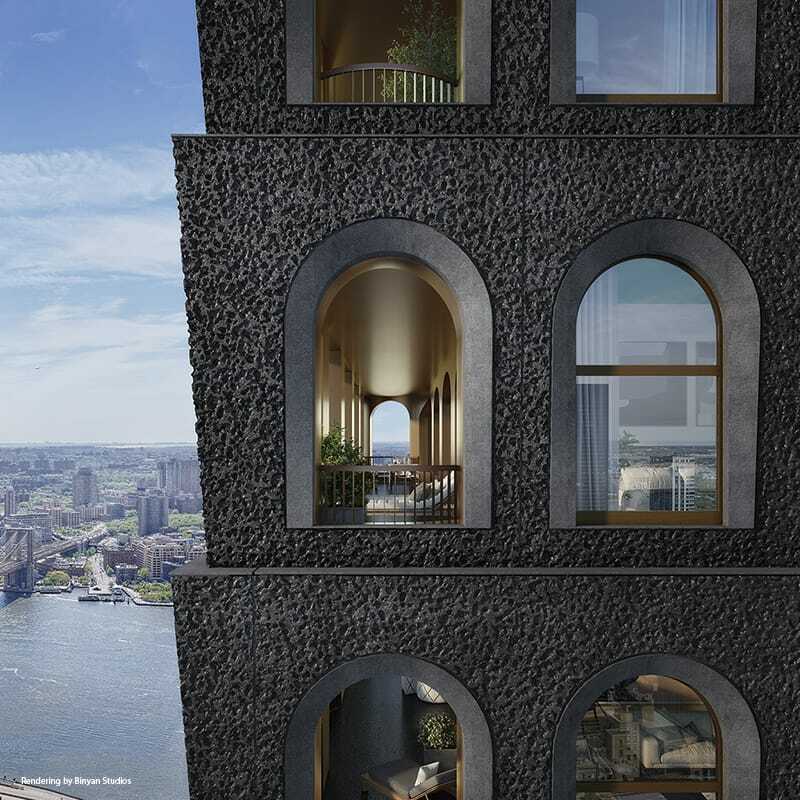 With a concrete superstructure, hand cast façade, arched windows with bronze detailing, and double-height residences, the building draws inspiration from the rich history of the area. The project is located in the Financial District, with significant car and foot traffic surrounding the site. The tight site footprint required a comprehensive logistics plans to ensure adequate delivery and laydown space, without disturbing the surrounding traffic and businesses. Two street frontages on both William and Fulton Streets provided critical access paths for deliveries to site, while also requiring additional security efforts to ensure the safety of the surrounding residents and visitors. Through ongoing communication, detailed logistics planning and critical programming, Gilbane has been able to navigate the tight site and busy site surrounds.